Every year as many as 10 million U.S. children risk side effects from antibiotic prescriptions that are unlikely to help their upper respiratory conditions. Many of these infections are caused by viruses, which are not helped by antibiotics. This overuse of antibiotics, a significant factor fueling antibiotic resistance, is the focus of a new report: Principles of Judicious Antibiotic Prescribing for Bacterial Upper Respiratory Tract Infections in Pediatrics by the American Academy of Pediatrics (AAP) in collaboration with the Centers for Disease Control and Prevention (CDC). 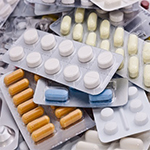 Released this week during Get Smart About Antibiotics Week, the report amplifies recent AAP guidance and promotes responsible antibiotic prescribing for three common upper respiratory tract infections in children: ear infections, sinus infections, and sore throats. Antibiotic resistance occurs when bacteria evolve and are able to outsmart antibiotics, making even common infections difficult to treat. According to a landmark CDC report from September 2013, each year more than two million Americans get infections that are resistant to antibiotics and 23,000 die as a result. By providing detailed clinical criteria to help physicians distinguish between viral and bacterial upper respiratory tract infections, the recommendations provide guidance for physicians that will improve care for children. At the same time, it will help limit antibiotic prescriptions, giving bacteria fewer chances to become resistant and lowering children’s risk of side effects. These harms can be in the form of antibiotic side effects or promoting the development of antibiotic-resistant bacteria, which can then spread through a community. CDC promotes responsible antibiotic use to consumers and health care providers through the combined efforts of the Get Smart: Know When Antibiotics Work and Get Smart for Healthcare programs, as well as during Get Smart About Antibiotics Week (Nov. 18–24, 2013) each year. State health departments, non-profit partners, and for-profit partners all contribute to the observance week’s success by spreading the word about when antibiotics work — and when they don’t. The 2013 observance of Get Smart About Antibiotics Week is an international collaboration that coincides with European Antibiotic Awareness Day, Australia's Antibiotic Awareness Week, and Canada's Antibiotic Awareness Week. CDC works 24/7 saving lives and protecting people from health threats to have a more secure nation. Whether these threats are chronic or acute, manmade or natural, human error or deliberate attack, global or domestic, CDC is the U.S. health protection agency.